So, I was wasting time again on the internet when I stumbled upon some paintings that I find unusually intriguing. I didn't find them myself though, they were discovered for me by an organization I follow called The Fox Is Black. 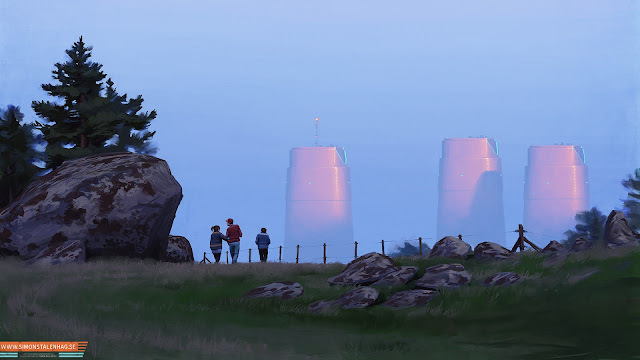 It could be that the paintings are especially interesting to me because I just came back from a short business trip to Stockholm and because I recently read the post-apocalyptic book Wool. 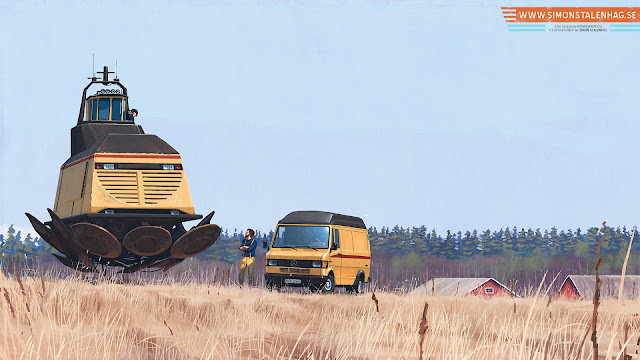 My hunch is these two events put me in a mood to admire the paintings by the Swedish artist Simon Stålenhag more than any painting I've seen in a long while. And that's actually saying a lot because I've not seen the paintings in-person and yet I just came back from a trip to the beautiful Kröller-Müller Museum where I saw many masterpieces including the second largest Van Gogh collection in the world. 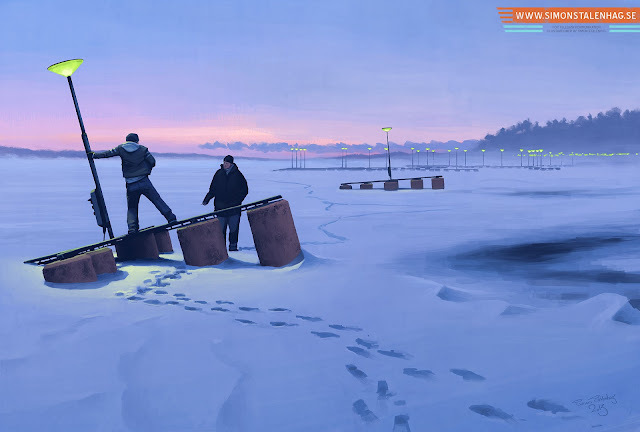 It's hard for me to describe what I like about these paintings though. They seem complex and simple, joyous and somber, retro and modern, urban and rural as well as a host of other dichotomous descriptors that I will spare you because I did not attend art critic school. 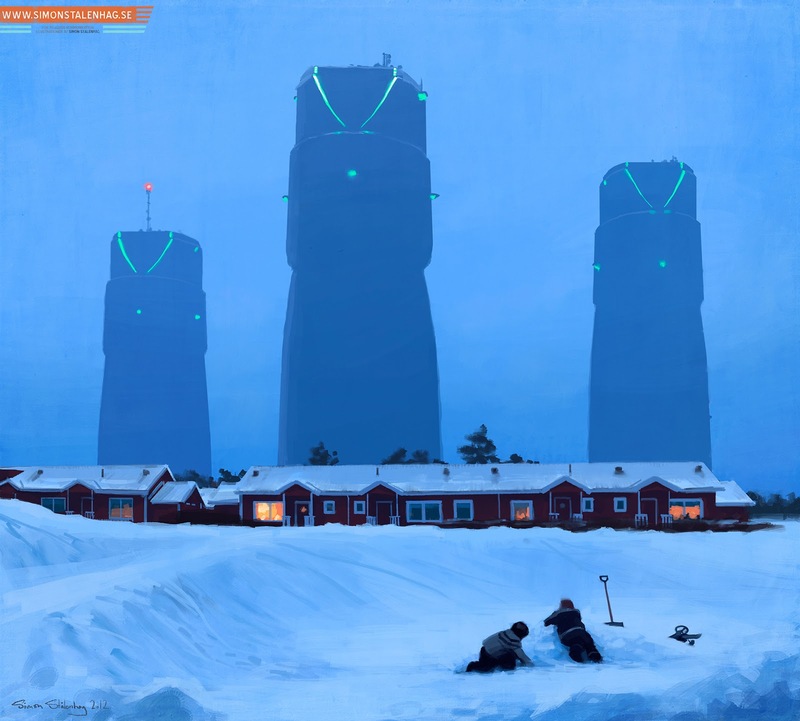 I'm curious though, fellow readers; what do you see in Stålenhag's paintings and how do they make you feel?